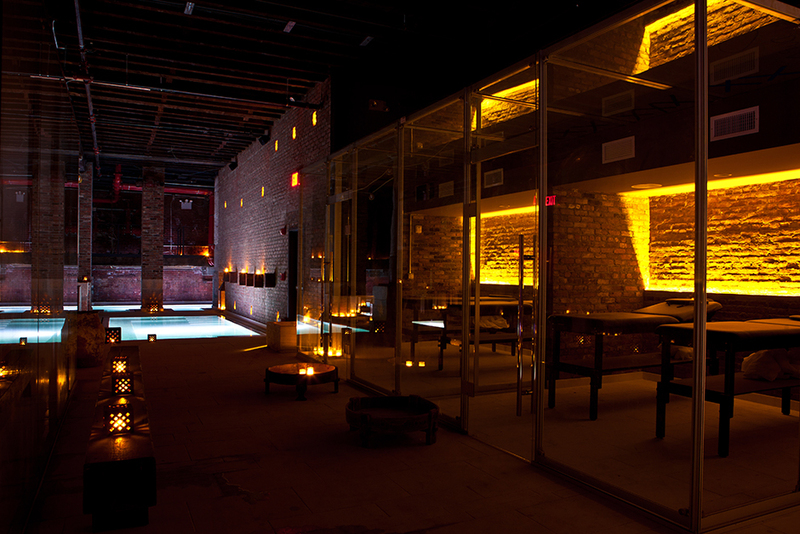 The formal art gallery, housed in a Greek Revival building located between Broadway and Church in New York City, has been redesigned into one of the city’s most luxurious spas. In 2011, Alonso Balaguer y Arquitectos Asociados took on the massive project, designing around the venues original architecture to keep its history and character intact. The idea was to create an inmate and luxurious interior that was both relaxing and unlike anything we see today. 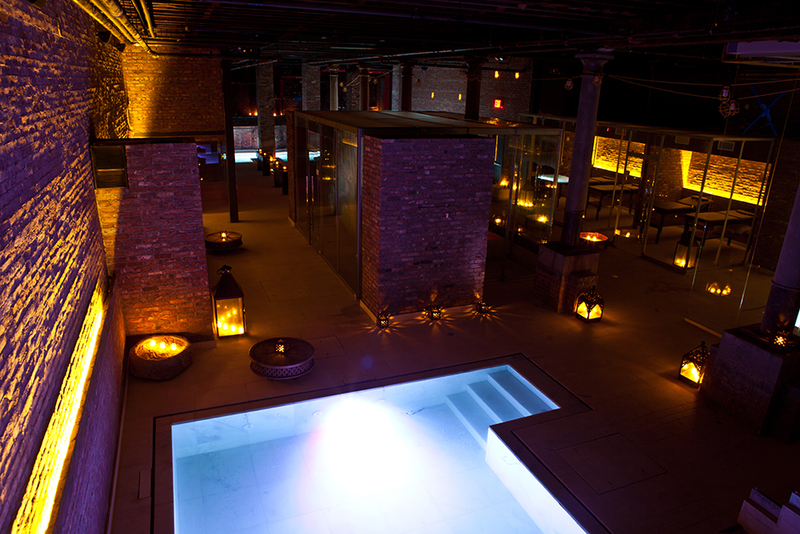 Ultimately, the goal was to transport guests back in time to experience the extravagance of an ancient Roman bath. Porcelanosa product was chosen carefully, ensuring that all product fit the essence of the space that was being created. The 820 square feet of flooring surrounding the pool areas was completed in Porcelanosa’s Blanco Almeria Sand home marble. Due to the proximity of the installation to the water, the tile was chosen in an anti-slip version. Blanco Almeria Classico was selected to use on the interior of the pool, the finish providing easy maintenance. 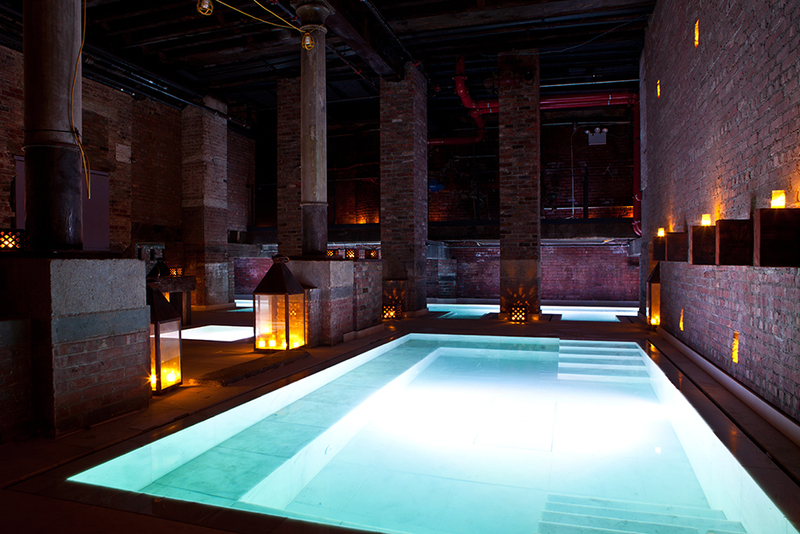 The final result was ‘Aire Ancient Baths’ a spacious retreat located conveniently in the heart of downtown Manhattan.